Passengers flying with any airline from Vienna International Airport will enjoy faster and more efficient boarding as the world’s first common-use self-boarding gates go into operation there. 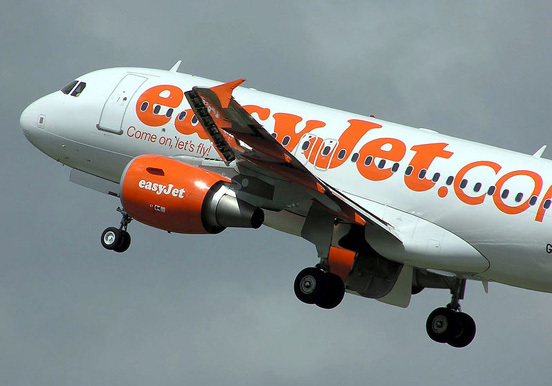 easyJet has launched its first smart phone app. The free app, suitable for both iPhones and Android smart phones, will enable passengers to search fares, book flights and much more. 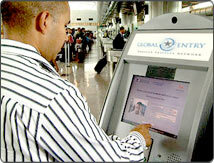 Automated Border Control eGates are to be officially launched at Taiwan’s three main airports on January 01, 2012. 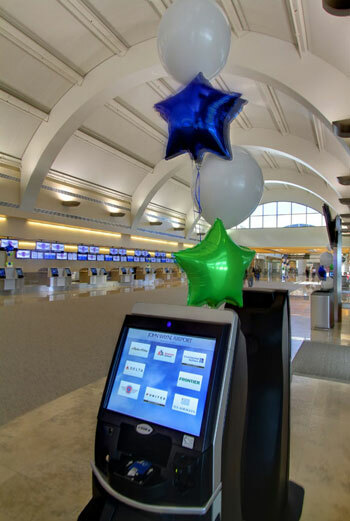 John Wayne Airport (SNA) has opened the new Terminal C. The new terminal has 48 CUSS kiosks from NCR and is one of the first airports in the US to be completely CUSS. 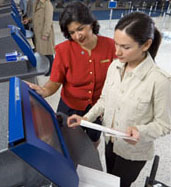 The Airport IT Trends Survey 2011, a joint ACI, Airline Business and SITA survey, confirms the continued expansion of passenger self-service. The survey shows top investment priorities focus around improving customer service, with passenger self-service remaining a key part of airports’ investment strategy. In line with this strategy, airports continue to invest in mobile services for their passengers. Similarly, social media integration to support customer service also remains important to airports. 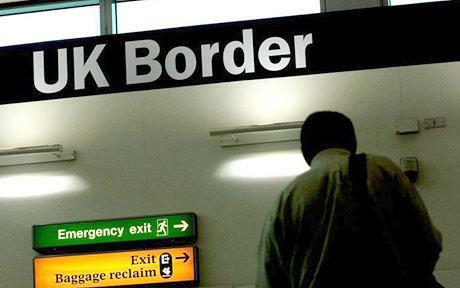 The iris recognition immigration system (IRIS) by which registered passengers can enter the UK quickly through automated barriers at certain airports is to be phased out. Self-service can mean a better experience at all points of the journey. As well as the usual options for check-in, boarding pass and baggage, there are now self-service possibilities for visas, airport information, arrival airport information, shopping, getting from the car park to the terminal and more. 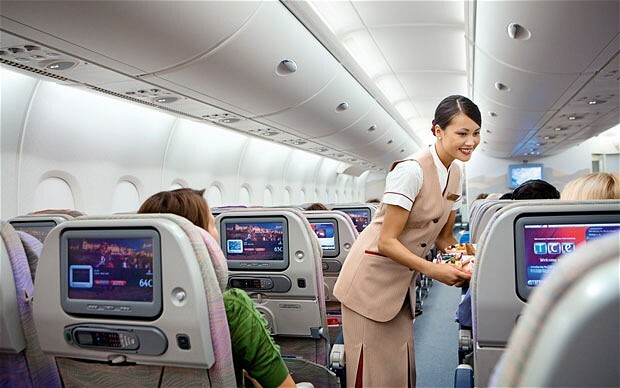 Self-boarding and self-service options on board including entertainment and food ordering are growing in popularity. 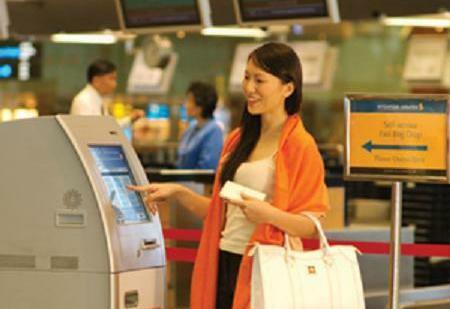 On 4 October, SITA and Air Transport World will jointly host a webinar to discuss the findings of the Passenger Self-Service Survey 2011. The sixth annual survey includes opinions of 2,500 passengers, interviewed at six of the world’s leading airports: Abu Dhabi, Atlanta, Beijing, Frankfurt, Mumbai and Sao Paolo. Read the full details from SITA. Passengers at Heathrow Terminal 5 has begun to transport passengers in computer controlled, driverless, car-sized personal ‘pods’, also known as APM (Automated People Mover). 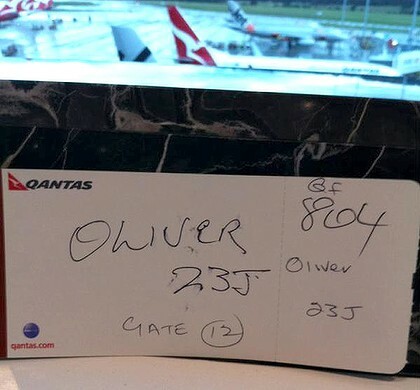 Gang dodged security and bought 2.3million duty-free cigarettes at Heathrow, Gatwick, Stansted and Luton.